It’s an all-star tribute! Join hosts Charles Vamnce and Karen Twofeather as we fondly remember the first 50 years of Pettit Bros. Brothercast history. 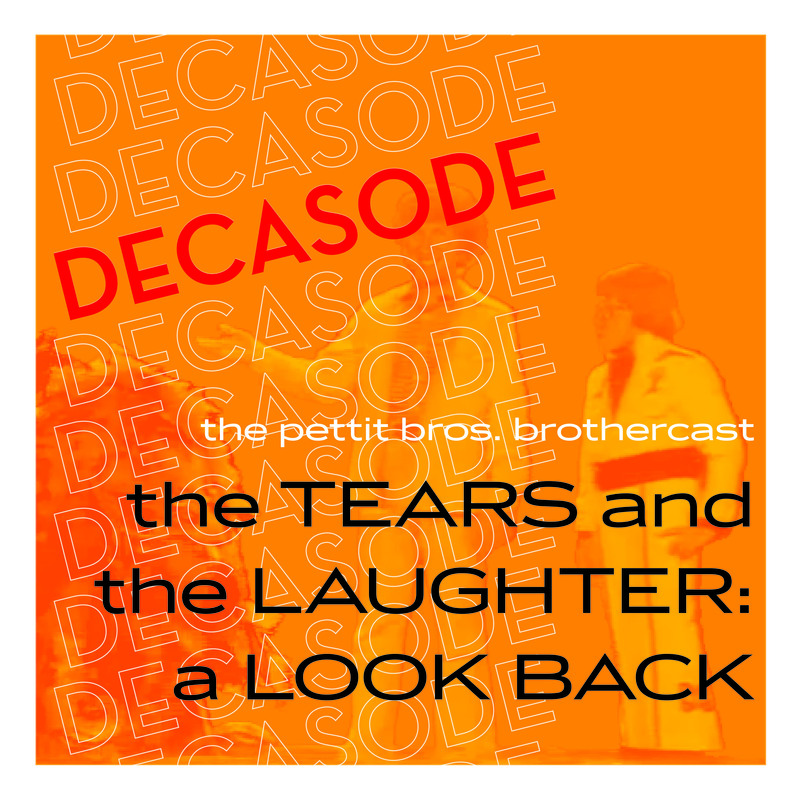 Meet the people and stories that have made the Brothercast such an enduring part of our share culture in: “The Tears and The Laughter: A Look Back”. Featuring the talents of Jim Backus, Paul Lynde, Gilbert Gottfried, Julia Child, Carol Channing, and many more, plus hear clips from classic Pettit Bros. formats including Brothercopter, The Treasure of Monster Beach, The Pettit Chronicles, Toward Tomorrow and of course, The Pettit Bros. Super Show! Brothercopter Carol Channing Decasode Gilbert Gottfried Jim Backus Julia Child Paul Lynde Science Corner Stan Burns The Pettit Brothers Super Show The Pettit Chronicles Toward Tomorrow VR Bros.
Well then! Having only heard Brothersode 1, I feel as if I’ve traveled forward in time 50 years. Outstanding voice work, sound effects and editing, and the Scriptron is to be commended for sure. As someone who actually remembers Sid & Marty Krofft AND the Hudson Brothers Supershow, I really appreciated that section; “violent gyrations and wild skeletal jerks” indeed. Just. Awful… I love it! I’m shocked, SHOCKED I tell you. I could have sworn that musical joke was lifted verbatim from Mr. Mark Hudson himself! It was a truly awful show that I watched faithfully every Saturday afternoon. What can I say? I was 7. Hey, this was an amazingly good episode. I hope you do more like this. Also a good intro for new listeners who may not yet be steeped in Brothercast lore. Lights in the Old Fort: A Symphonic Mystery Adventure!